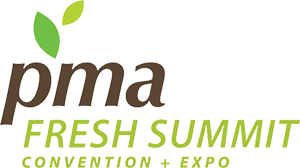 Looking for Produce Industry News? Timely news and information for retail, foodservice, supply-side & merchandising. National newsweekly of the fresh produce industry since 1897. Looking for a brighter future? Try eating a diet rich in colorful fruits and vegetables. The potential benefits associated with eating more fruits and vegetables stack up quickly. The produce industry's leader in timely news and information, 108 years and running. Obviously, news is important to our readers. Even more important is what that news means. Unsurprisingly, we know both of those things. That's why The Packer is the produce industry's No. 1 publication. The industry depends on The Packer as its main source for coverage of all the latest news. A peerless editorial staff also provides in-depth analysis of those happenings, setting The Packer above other publications. Produce Marketing Association The Produce Marketing Association, founded in 1949, is a not-for-profit global trade association serving more than 2,400 members who market fresh fruits, vegetables, and related products worldwide. Its members are involved in the production, distribution, retail, and foodservice sectors of the industry. National Restaurant Association Founded in 1919, the National Restaurant Association is the leading business association for the restaurant industry. Together with the National Restaurant Association Educational Foundation, the Association's mission is to represent, educate and promote a rapidly growing industry that is comprised of 870,000 restaurant and foodservice outlets employing 11.7 million people. MontereyHerald.com, the online partner of The Monterey County Herald newspaper, features news, columns and information for and about Monterey County, Calif., and the Salinas Valley area. 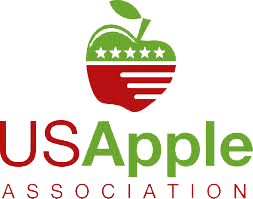 U.S. Apple Association (USApple) serves as a resource center for the apple industry. Jim Prevor’s Perishable Pundit, recognized as a leader in understanding and assessing the state of the perishable food industries. Produce Business is the leading publication in the fresh fruit, vegetable and floral industry.